The unique experience begins with an enchanting drive from the city to the location. Like a moving cameo the splendour of the city gives way to the serene lakeside and then to the rustic simplicity of village life located in the heart of the woods. After a short acquaintance, you will feel that Araliayas is just like home. There is nowhere quite like it for perfect relaxation, and though the city is merely a few minutes' away, Araliayas is in another world. Catering, Airport Transportation, Currency Exchange, Doctor on Call, Backup Generator, Safe Deposit Box-Front Desk, Restaurant, Gardens, Party Hall, Concierge. 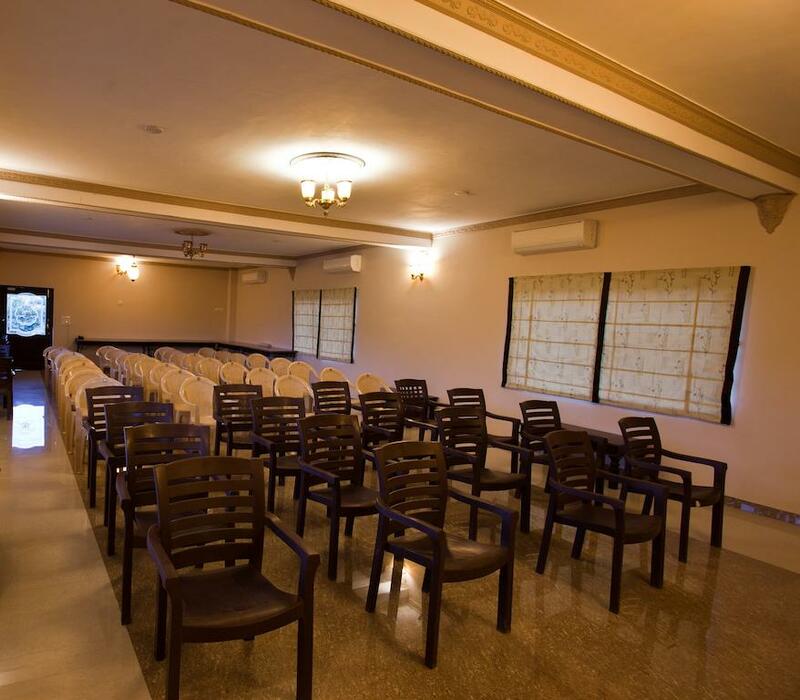 Child Care, Air Conditioning Room, H/C Water, Dustbins, Iron/Ironing Board, Reading Lamps, Smoking Rooms, Safe Deposit Locker Facility, Cable/Satellite TV, Attached Bathroom. User reviews for "Araliayas Resort Udaipur"